Named By: Harry Govier Seeley‭ ‬-‭ ‬1874. Synonyms: Apatodontosaurus,‭ ‬Ancanamunia,‭ ‬Baptanodon,‭ ‬Paraophthalmosaurus,‭ ‬Yasykovia. Classification: Chordata,‭ ‬Reptilia,‭ ‬Ichthyosauria,‭ ‬Ophthalmosauridae,‭ ‬Ophthalmosaurinae. Species: O.‭ ‬icenicus‭ (‬type‭)‬,‭ ‬O.‭ ‬natans,‭ ‬O.‭ ‬saveljeviensis,‭ ‬O.‭ ‬yasykovi. Diet: Piscivore,‭ ‬possibly a specialist in deep water squid. 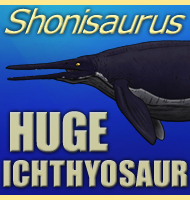 Size: Up to‭ ‬6‭ ‬meters long. Known locations: England - Oxford Clay Formation. France. Greenland, Mexico - La Caja Formation. USA, Wyoming - Sundance Formation. Time period: Bathonian through to Tithonian of the Jurassic. 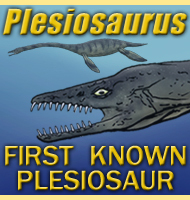 Fossil representation: Lots of specimens of individuals of all ages which make Ophthalmosaurus one of the best known ichthyosaurs. 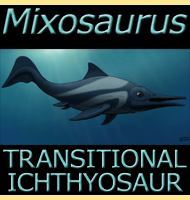 The large number of remains relating to Ophthalmosaurus has not only indicated that it was a common ichthyosaur of the late Jurassic,‭ ‬but they have formed the basis to a lot of research about ichthyosaurs in general.‭ ‬Perhaps one of the most important areas is that concerning live birth in marine reptiles,‭ ‬something which has been proven in other ichthyosaur genera such as Platypterygius,‭ ‬but in Ophthalmosaurus is proved by the total discovery of over fifty different pregnant females.‭ ‬Further to this it seems that Ophthalmosaurus at least gave birth to multiple young at the time with numbers of pups inside a mother’s body being anything between two and eleven.‭ ‬As such it is very likely that other genera of ichthyosaurs also gave birth to litters of several individual pups. 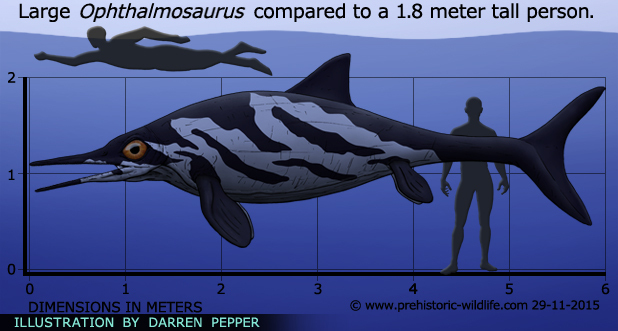 The sources of the inspiration of the name Ophthalmosaurus are the large eyes.‭ ‬Not only did they take up most of the orbital cavity,‭ ‬but Ophthalmosaurus possibly had the proportionately largest eyes amongst the known sea creatures of the late Jurassic seas.‭ ‬These large eyes were obviously to provide Ophthalmosaurus with vision in low light levels,‭ ‬and while the two main theories are nocturnal activity or deep water hunting,‭ ‬current fossil evidence provides much stronger support for the latter. The eyes of Ophthalmosaurus were supported by bony growths called scleral rings,‭ ‬features that in themselves are very common,‭ ‬but the scleral rings associated with Ophthalmosaurus are extremely well developed.‭ ‬Beyond the obvious large size of the eye these rings would have supported the eye against the crushing effect of the water that would have been at a much higher pressure than the water nearer the surface.‭ ‬Additionally examination of the joints of Ophthalmosaurus has revealed damage to the bones caused by decompression sickness‭ (‬better known as‭ ‘‬the bends‭’)‬.‭ ‬This is where the body moves‭ ‬from‭ ‬higher to lower pressure levels faster than the body can adjust which causes gases that are dissolved in the blood stream to be released.‭ ‬This indicates that Ophthalmosaurus would have had to dive very deep in order for it to be able to sustain these kinds of injuries. 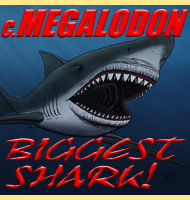 The reasons why an ichthyosaur like Ophthalmosaurus would dive into deep water are varied,‭ ‬one of which is predator evasion.‭ ‬The late Jurassic seas saw large pliosaurs like Liopleurodon and Pliosaurus as the dominant predators of other marine reptiles and Ophthalmosaurus may have dived deep in order to avoid them,‭ ‬the bends injuries being caused as a result of this avoiding action.‭ ‬However the large eyes of Ophthalmosaurus suggest that deep diving into low light layers was a matter of routine rather than escape,‭ ‬otherwise it would have had eyes similar to other near surface dwelling ichthyosaurs.‭ ‬The deeper down in the water you go the more water there is for the surface light to pass through which means the ocean can soon become so dark that all you would be able to see is black.‭ ‬These dark layers however are usually abundant in creatures like squid however,‭ ‬and by focusing upon a source of prey like this,‭ ophthalmosaurid ichthyosaurs could co-exist with other types of ichthyosaurs that were dedicated fish hunters. Ophthalmosaurus is the type genus of the ophthalmosauridae group which includes other big eyed ichthyosaurs that are similar in form to Ophthalmosaurus.‭ ‬This however has led to some confusion between which genera deserve to be kept separate from Ophthalmosaurus,‭ ‬but still in the same group,‭ ‬and which actually represent other previously described genera.‭ ‬Mollesaurus periallus that was once classed as a synonym of Ophthalmosaurus has since been re-examined and confirmed as representing a distinct genus.‭ ‬Undorosaurus is also once again accepted by the majority of researchers as being valid,‭ ‬although some still list it as a synonym.‭ ‬One species of Ophthalmosaurus,‭ ‬O.‭ ‬chrisorum,‭ ‬has since been‭ ‬redescribed as its own genus,‭ ‬Arthropterygius.‭ ‬Out of all the ophthalmosaurid ichthyosaurs,‭ ‬Acamptonectes and Mollesaurus are thought to be two of the most closely related to Ophthalmosaurus. 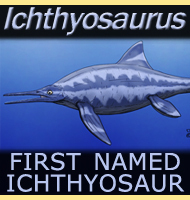 - On the pectoral arch and fore limb of Ophthalmosaurus, a new ichthyosaurian genus from the Oxford Clay. - Quarterly Journal of the Geological Society of London 30:696-707. - H. G. Seeley - 1874. 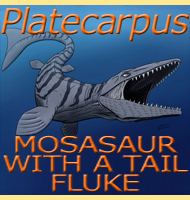 - The osteology and taxonomy of the fossil reptile Ophthalmosaurus. - Proceedings of the Zoological Society of London 126(3):403-448. - R. M. Appleby - 1956. 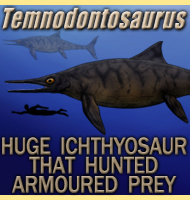 - First discovery of the ichthyosaur Opthalmosaurus in the Kimmeridgian of the USSR. 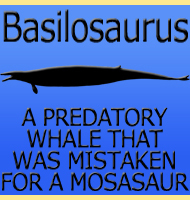 - Paleontological Journal 112-114. - B. M. Efimov - 1991. 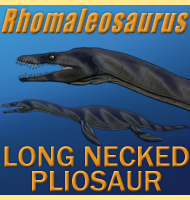 - The first definite record of a Valanginian ichthyosaur and its implications on the evolution of post-Liassic Ichthyosauria. 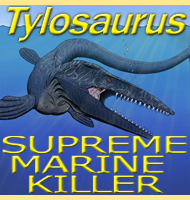 - Cretaceous Research 32 (2): 155–163. - V. Fischer, A. Clement, M. Guiomar & P. Godefroit - 2011. - A new Barremian (Early Cretaceous) ichthyosaur from western Russia. 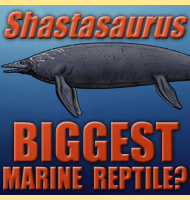 - Journal of Vertebrate Paleontology 31 (5): 1010–1025. - Valentin Fischer, Edwige Masure, Maxim S. Arkhangelsky & Pascal Godefroit - 2011. 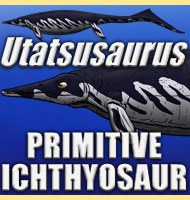 - New Ophthalmosaurid Ichthyosaurs from the European Lower Cretaceous Demonstrate Extensive Ichthyosaur Survival across the Jurassic–Cretaceous Boundary. - PLoS ONE 7 (1): e29234. - Valentin Fischer, Michael W. Maisch, Darren Naish, Ralf Kosma, Jeff Liston, Ulrich Joger, Fritz J. Kr�ger, Judith Pardo P�rez, Jessica Tainsh & Robert M. Appleby - 2012.